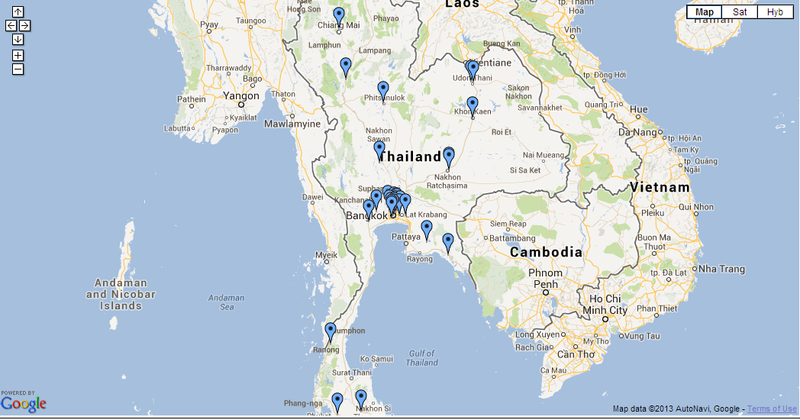 Track My Work Force allows employers to easily track and monitor employees, drivers, sales reps, etc. from any web enabled device. It’s the perfect way to stay connected with your team and to see where they are in real time. Many of our global customers are in the Pharmaceutical, Construction, Food, Consumer Goods and Delivery business and they are able to track their sales reps in the field. 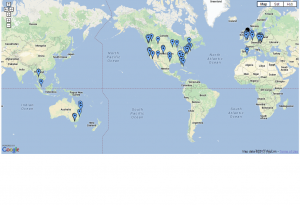 If your reps have a Smartphone or tablet and you want to know where they are, then TMWF is the most efficient and cost effective solution on the market. We also offer volume discounts, custom programming and private label. 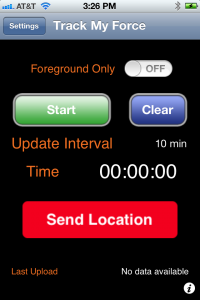 Track My Work Force also has a SEND LOCATION button that allows the user to check in at the current location. This is simple and easy way to confirm a pickup or delivery. GTX has been pioneering 2 way GPS tracking technology since 2002 and offers its customers complete customizable solutions of hardware, middleware, apps, connectivity and professional services- a one stop shop for the consumer or enterprise looking to implement GPS Tracking technologies. From its award winning multi patent GPS Smart shoe™ to top selling smart phone Apps, the Company is uniquely positioned to offer complete end to end, tried and proven GPS tracking solutions worldwide. 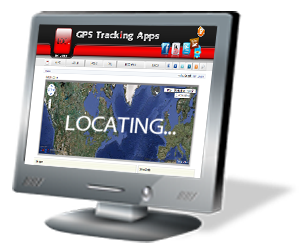 GTX is able to customize GPS tracking solutions to suit your business requirements according to your local requirements. GTX provides solutions across a number of platforms, optimizing the technology for our customer’s benefits. GTX has a strong and ongoing portfolio of intellectual property, between patents, copy rights, registered trade marks and brand recognition. Los Angeles, Calif. – February 19, 2013 – LOCiMOBILE®, Inc. a wholly owned subsidiary of GTX Corp (OTCBB: GTXO), has launched its first enterprise app for companies looking to effectively track and monitor their work force in real time. 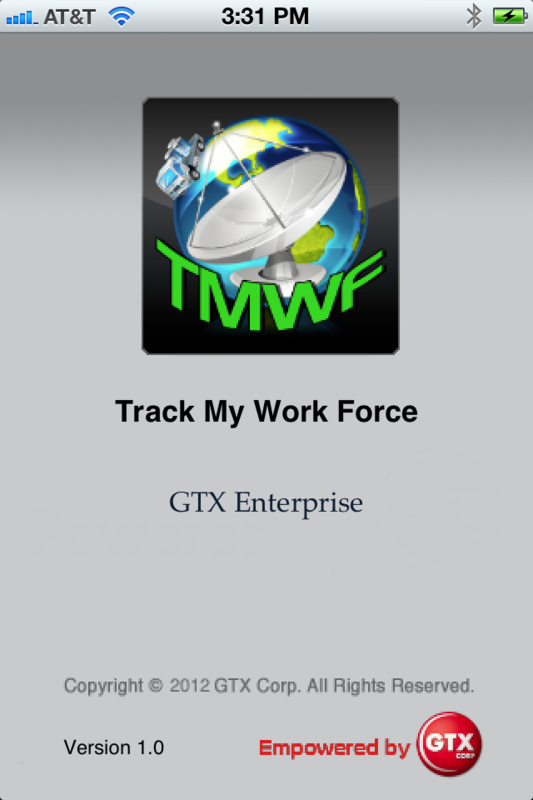 Track My Work Force (“TMWF”) is currently available for download on iTunes, and based on its early success, is in development for release on the Android platform. 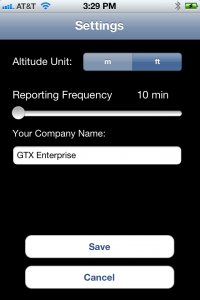 Once downloaded on either an iPhone or iPad, the app works in the background and reports the whereabouts of that device back to the GTX Corp monitoring backend. The app was designed for small to medium size companies that have a mobile sales or service work force and need to know the location of their reps in real time. 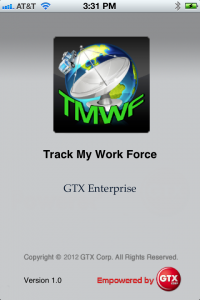 Companies in the U.S., Canada, Czech Republic and Morocco, in industries including transportation, construction, plumbing, IT, medical and pharmaceutical, have already deployed the TMWF app and the GTX backend monitoring platform. Jack Daynes, from the Diamond Group stated, “Our diamond delivery business relies heavily on our travelling sales representatives in order to maintain relations with existing customers as well as meeting new ones. GTX Corp’s Track My Work Force app was extensively tested during our system trial. The results were such that we implemented the program immediately and haven’t regretted it in the slightest. Both the pricing, and the service that we’ve received have exceeded our expectations”. Leveraging the mass adoption of smart phones and tablets in the work force companies all over the world can easily deploy this technology. 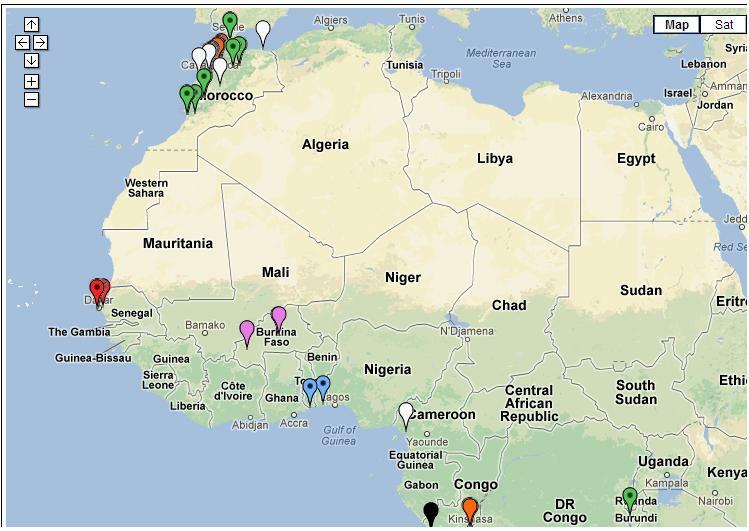 Last month a pharmaceutical company based out of Morocco that services 25,000 pharmacies across several North African countries deployed the app for 150 of its sales reps. The TMWF app is an efficient and cost-effective way for business owners and managers to keep track of and manage their mobile work force. It’s faster and safer than text messaging and allows the worker to focus on the task at hand rather than spending valuable time calling HQ to check in and report. The app costs $9.99 initially, and there is an additional monthly monitoring service fee that costs around $5.00 per user per month. The Company provides a free 2 week evaluation for any business with more than 5 employees, and custom solutions along with a licensable white label platform for larger companies. GTX Corp is a holding company thatowns and operates three subsidiaries engaged in the burgeoning $13 billion global LBS/GPS Personal Location Services business. GTX was founded in 2002, became publicly traded in 2008, and is currently headquartered inLos Angeleswith distributors in Canada, Mexico,Australia,NepalandIreland that serve customers in 162 countries and counting. Known for its game-changing and award-winningpatented GPS Smart Shoe,and its block buster Smartphone GPS Tracking Apps, the Company offers a robust enterprise GPS and cellular location platform that provides real-time tracking of the whereabouts of people, pets, vehicles and high valued assets. GTX Corp does not warrant or represent that the unauthorized use of materials drawn from the content of this document will not infringe rights of third parties who are not owned or affiliated by GTX Corp. Further GTX Corp cannot be held responsible or liable for the unauthorized use of this document’s content by third parties unknown to the company. Track My Work Force allows employers to easily track your employees, drivers, sales force, etc. from any web enabled device. It’s the perfect way to stay connected with your team and to see where they are in real time. Ask every employee that you would like to track to install the app on their iPhone, register and accept the Terms and Conditions. 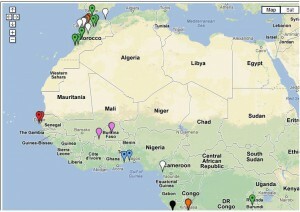 We will then give you access to our web portal where you will be able to check the current location of your work force. The app also has a SEND LOCATION button that allows the user to check in at their current location. Simple and easy way to confirm a pickup or delivery. Click here to download Track My Work Force from iTunes. This is where the “do it” meets the ”dollars” …http://www.gtxcorp.com/ and its million subscriber http://www.locimobile.com/ subsidiary have inked a deal with http://allstardeals.com/1fyrj to give every local guy the opportunity to solicit and syndicate coupon offers…we think that getting paid for offering discounts is a very nice gig. To see just how it works check out: http://www.allstardeals.com/deals/National/2-Movie-Tickets. All at once knowing who isn’t as good as knowing where and how much. GOTHENBURG: Location-based mobile services are set to enjoy rapid revenue growth in Europe and North America, aided by social networks and greater interest from marketers, a study has argued. Berg Insight, the consultancy, reported the amount of people utilizing these tools will more than double in these regions over the course of 2011, assisted by the rising uptake of devices like the iPhone. “Higher adoption of smartphones is driving usage of mobile internet services and apps in general,” said André Malm, senior analyst at Berg Insight. More specifically, 20% of mobile subscribers in the European nations tracked will regularly employ these services by the end of this year, hitting 30% in North America, where smartphone penetration is higher. “The installed base of GPS handsets in Europe has reached 35% of total handsets and surpassed 70% in North America,” Malm added. Revenue levels in North America stood at $620m in 2010, and Berg Insight suggested the returns generated by this channel should be $710m in 2016. Figures for the 29 major European markets featured – including France, Germany, Italy, Spain and the UK – came in at €205m in 2010, and were pegged at a potential €435m by 2016. Social networking sites are seeing especially impressive growth concerning mobile phone access rates, with tools like Facebook Places and Twitter’s equivalent service enable members to easily share their whereabouts. This category is expected to witness the biggest expansion during the period covered by the analysis, reflecting the broader trends at work across the digital arena. Ads are already the “main source” of revenues in most categories – except mapping, where this figure falls below 10% – but while ad-spend will grow, it may be “some years” before a real marketing model and critical mass of users and develop, the study said. 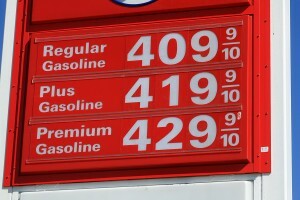 Higher gas prices present new retail challenges stimulating increased local promotions for retail brands. In recent years, gasoline prices in the United States have fluctuated widely. Because it is difficult for consumers to alter their gas consumption in the short term, this variation in transportation costs significantly affects the portion of disposable income that is available for other categories of household expenses. Recent research finds that a significant increase in gas prices leads the average household to reduce shopping frequency by approximately 20% and total expenditure by about 14%. A substantial shift was documented in spending away from traditional grocery formats to one-stop shopping supercenters. That same significant rise in gas prices also resulted in a 3.6% reduction in grocery format share and a 24.9% increase in supercenter share. As might be expected, consumers buy fewer full-price name brands shifting more to promotions on name brands than to private label. For the jump in gas prices we have recently seen, regular-priced national brands lose 12% of their share while promoted national brands gain 29%, with private label gaining only 3%. Delivery of promotional messages to smartphone subscribers set up with proximity marketing capabilities is not an option any longer, it is a fiscal imperative. GTX Corp (OTCBB: GTXO) a leader in 2-way GPS Personal Location Services (PLS) and ADAM, Inc., the nation’s largest platform for Hyper Local Mobile Apps for Directories, will enable 123 Chambers of Commerce representing over 100,000 businesses nationwide to push out proximity promotions, utilizing the GTX Corp GPS/PLS Platform and leveraging its one million and growing GPS Tracking Smartphone App user base. GTX Corp Loci hyperlocal marketing solutions enable merchants, service bureaus, hotels, political candidates or small business to deliver spontaneous, customized offers and other relevant opportunities to opt-in consumers near the point of sale or other destination through their smartphone. The advantages for marketers of hyper-local messaging are its low cost per impression, ability to make time sensitive offers to demographic targets that are relevant and of immediate value. Contact GTX Corp to find out how its 2-way location-based solution can provide the path to your solution.